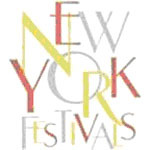 NEW YORK CITY, US: New York Festivals International Television & Film Awards, now in its 58th year, has announced this year's prominent media professionals slated to present awards at the 2015 TV & Film Gala honouring World's Best TV & Film. The Gala will be held at the annual NAB Show on Tuesday, 14 April as they play host to over 98,000 attendees from 159 countries. "We are in the fifth year of our strategic partnership with NAB Show," said Rose Anderson, Executive Director, New York Festivals International Television & Film Awards, "which has been so rewarding in enabling us to bring well-deserved attention to the 2015 winning programmes from around the globe. Our partners and sponsors - Limelight Networks, PRG and Sony - join us in honouring Ken Aagaard, CBS Sports Executive Vice President, Operations, Engineering & Production Services, our Lifetime Achievement recipient." The International Television & Film Awards e-programme continues NYF's commitment to innovation and provides attendee's instant access to the Gala's program viewable on all mobile screens. Programme highlights include the complete 2015-award winners list, TV & Film Awards Advisory Board and Grand Jury panels, Executive Director's letter, show schedule and more. To view the 2015 e-programme, click HERE. 2015 winner's results will be announced on 14 April. David Mazza, NYF's 2014 Lifetime Achievement Award Recipient and Senior Vice President and Chief Technology Officer, NBC Sports Group will take to the stage to present the fifth annual NYF Lifetime Achievement Award honouring Ken Aagaard, Executive Vice President, Operations, Engineering & Production Services, CBS Sports.